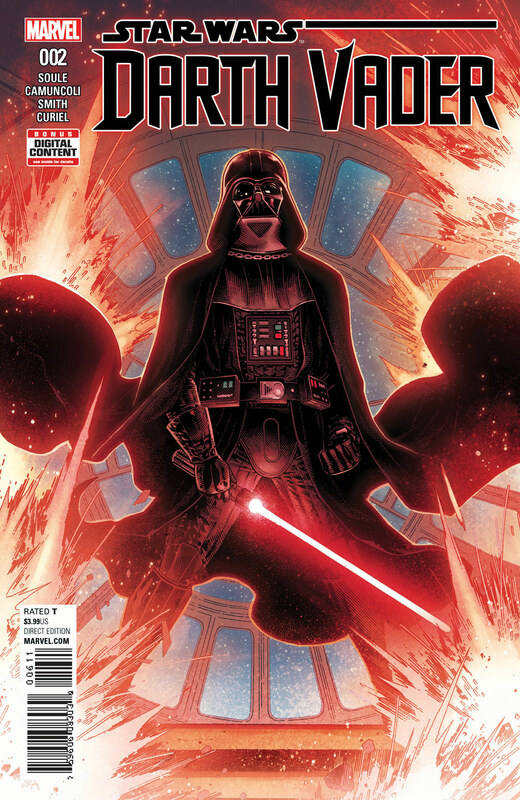 The Darth Vader series is returning, but with a new time setting and a new writer. 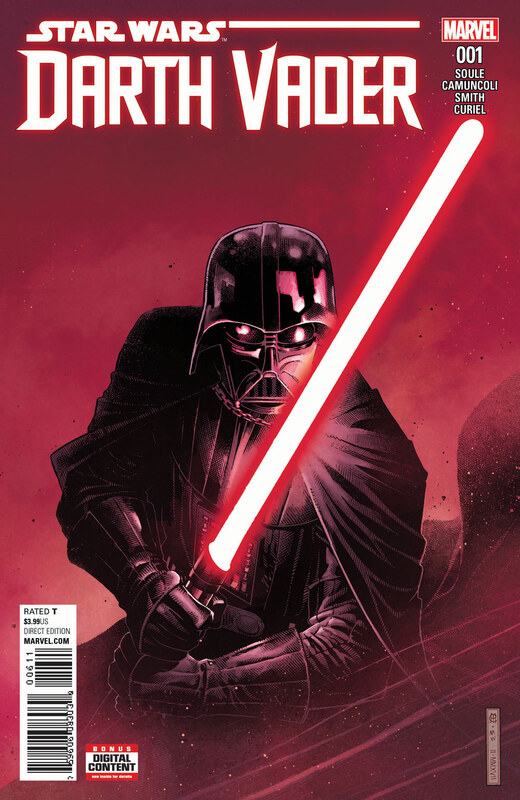 This time Charles Soule will be taking up the pen and the series will take place right after Revenge of the Sith. StarWars.com has an interview with Soule with more details. It’ll be out in June with Giuseppe Camuncoli handling the artwork. Adventures in Poor Taste has a preview of Darth Maul #2. Anthony Daniels and Riz Ahmed have joined the guest list for Star Wars Celebration Orlando. Ahsoka Lives Day will also be returning and is set for April 15 (Saturday) from 2:00 to 3:00 PM at the main lobby. For collectors, the full panel schedule for the Collecting Track has been posted. MidSouthCon is March 24 to 26 in Memphis, TN. Star Wars guests include John Jackson Miller. The Drowning in Moonlight memorial gala will be April 13 at the Rosen Centre Hotel from 7:30 to 10:30 PM. Ahsoka Lives Day is April 15 at Star Wars Celebration Orlando from 2:00 to 3:00 PM in the main lobby. Ashley Eckstein will be there. DeAgostini has created a neat little online video quiz for R2-D2 fans to celebrate their Build Your Own R2-D2 guide. You can check out the quiz right here. Disney Parks posted a video of the AT-ATs in construction at Star Wars land. Here is this week’s episode of The Star Wars Show. According to Gareth Edwards, fans will not be getting any deleted scenes or alternate versions of Rogue One. Netflix has a movie coming out called Small Crimes which looks really good. About 2 minutes in, things heat up. It’ll be on Netflix starting April 28th. New Wonder Woman trailer. Still a long ways off with its June 2 release. With one of the worst movie titles I’ve heard in a long time, Baby Driver actually looks like it might be a pretty good movie. It’ll be out in August. Pre-orders are up for Sideshow’s Death Star Gunner. S.H. Figuarts is making a Qui-Gon Jinn action figure. Disney Stores now have an Elite Series Droid Gift Pack.